Lonnie Bowers has more than enough trouble. An affair has ended his marriage, his career is on life-support and his bank balance carries only negative numbers. Life couldn't get any worse—and then it did. His best friend and traveling partner is kidnapped by a Mexican drug cartel. Born on a Canadian Indian reservation to parents he never knew, Lonnie’s had more than his share of trouble. The rodeo arena became his escape from the drugs, violence, and his own burning resentment. Now, with his life unravelling, and with nowhere to turn, intelligence agent Frederick Roseman mysteriously turns up from his past. Lonnie knows what lies ahead. To rescue Brian from one of Mexico’s most dangerous cartels, he needs more help then he could ever access on his own. 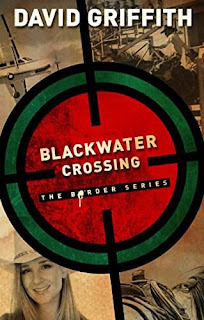 When he crosses the border, he is faced with the brutal end reserved for all who dare to cross the cartels. His beliefs about the afterlife have been good enough to live by. Now, are they solid enough for death? Clarissa, Lonnie’s soon-to-be ex-wife tells her own story of pain and betrayal. She leaves her executive career and escapes to what she hopes will give her the small-town peace of her childhood. But when she endures a cougar attack in the high mountain wilderness behind her home, she is forced to come to terms with her husband’s betrayal. Is divorce the final and best answer for a marriage shattered by adultery? Will she ever be able to release the anger and heartache enough to forgive Lonnie? Throughout her torturous journey, she is drawn to examine the claims of a God who gently reminds her of His requirements for forgiveness.